The Mayan Arts Program (MAP) is a collaboration between the Highland Support Project (HSP), The Association of Highland Women (AMA), and the International Maya League. 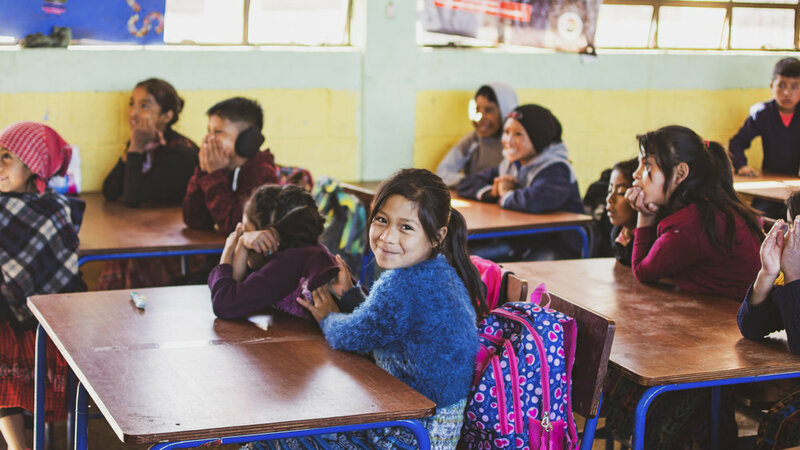 MAP connects rural indigenous communities of Guatemala with resources to promote creative and critical thinking skills through a curriculum that respects local culture and history. MAP provides an ambulatory arts education program, teacher training workshops, infrastructure improvements, curriculum enhancement, and community organizing to encourage creativity, adaptability, and the ability to seek alternatives and exercise agency in personal and civic life. MAP designs programming around four teaching objectives. 1) Environmental Stewardship, 2) Gender Equity, 3) Civic Participation and, 4) Cultural Pride. The goal of the program is to empower a generation of creative and critical thinkers with the capacity to break cycles of dependency and marginalization and envision a better future. MAP identifies key issues that are impeding positive outcomes from available education resources and creates social capital to address these embargos to opportunity. Specifically, the program addresses the lack of art education, authoritarian pedagogy that is a legacy of military rule and colonialism, lack of cultural awareness of many non-indigenous teachers, limited public spending for rural education, limited parental participation in supporting schools or children's education. Examples of MAP initiatives include the organizing of parent-teacher associations accompanied by capacity building workshops in planning, management, and community engagement. The development of curriculum to assist public schools in meeting national objectives through an innovative inclusion of Maya culture in course content. Organizing cross-cultural competency and cultural awareness workshops for teachers and administrators of rural schools as well as adult education campaigns for parents never afforded the opportunity for formal education. MAP is supported and implemented through HSP's Partners in Service Program and Highland Mission participants. Volunteers work with local educators and MAP staff to implement programming during their visit. Their financial support ensures that programming continues and grows to provide a new generation of leaders with the vision and skills to create a better future for everyone. A MAP organized school construction as part of the infrastructure for education initiave.